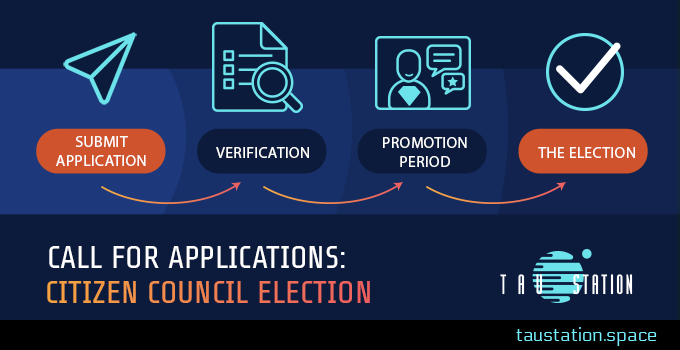 Last Friday, the promotion phase for the Citizen Council candidates officially started. This phase will last for 2 weeks. Today, we’re presenting you with another two candidates that you’ll be able to elect on March 15th. 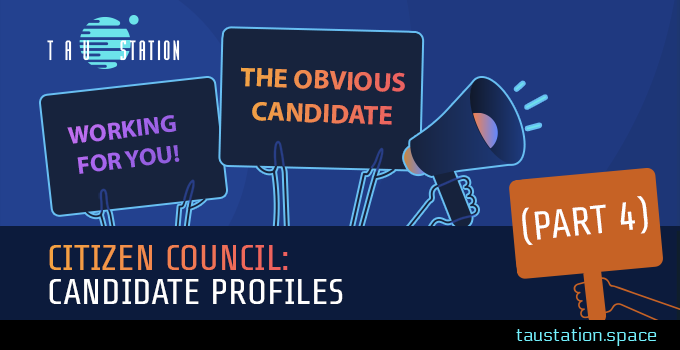 ➔Continue reading "Citizen Council: Candidate Profiles (Part 2)"
A few months ago, we talked about having our own Citizen Council. 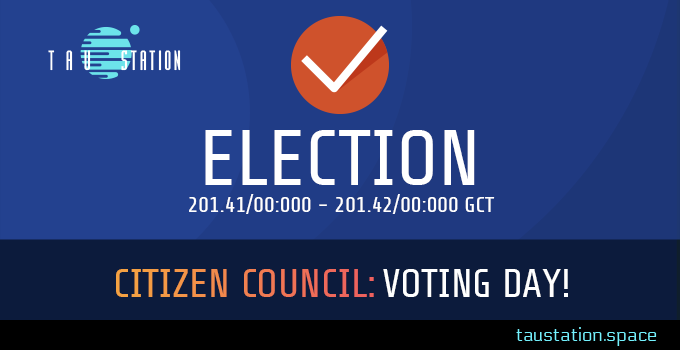 Now it’s time to officially launch the first election for the Tau Station Citizen Council. 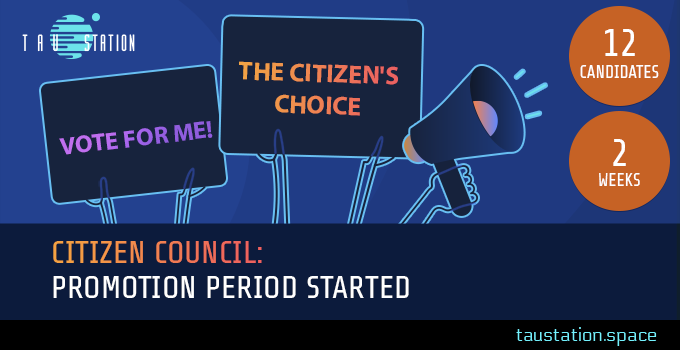 ➔Continue reading "Call for applications: Citizen Council Election"
It’s the end of the year, and it’s an interesting time to reflect on our progress and where we are going. 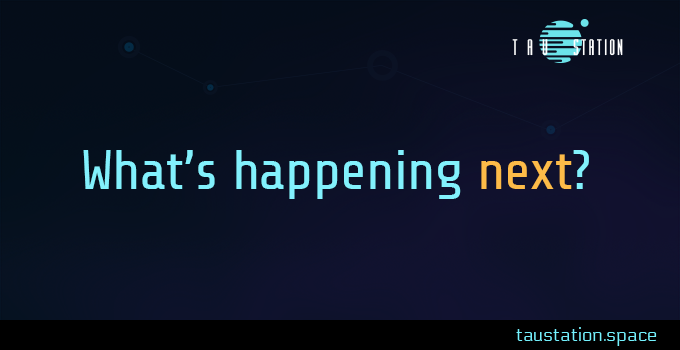 ➔Continue reading "What’s happening next?" The clock just passed Cycle 200! Read on to learn more about what the survivors of the Catastrophe celebrate today, uncover gifts for active citizens (as the administration said: activity pays off), and discover a new mission for everyone. 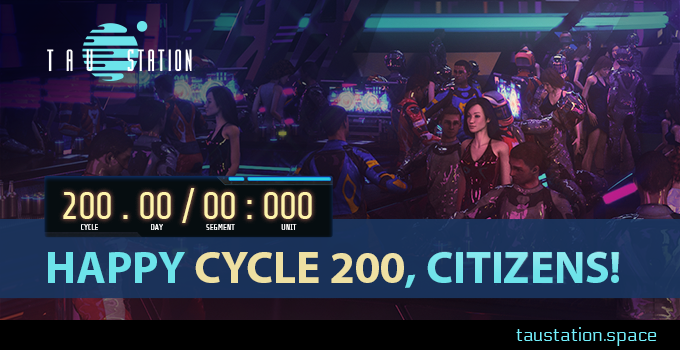 ➔Continue reading "Happy Cycle 200, citizens!"